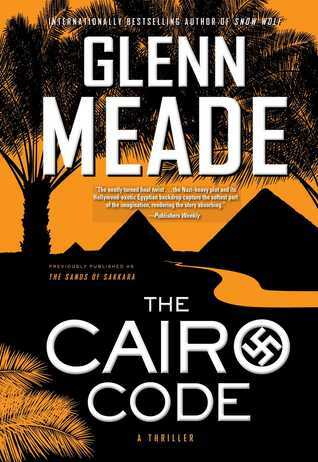 The Cairo Code, written by Glenn Meade is a story that will get your adrenaline pumping as you quickly turn the pages in an attempt to kill President Roosevelt. If that isn't enough to spark your interest, you'll enjoy how Glenn Meade has the ability to take the reader from modern day straight into Germany where the war is going on. It is this back and forth, but written well. The characters are developed, and you will want to know what happens. The book is big and looks like you have a long read ahead, but once you get reading you will lose track of time and it will be over before you know it. This book receives 4/5 stars for me. If you love historical fiction, this would be the perfect book for you because it has a lot of suspense, plot, and mystery. I was given a copy for my honest review thanks to Wynn Wynn Media and the publisher. For more information on how to purchase your copy, head here.